Have you ever started eating something that tasted so yummy, and you couldn't stop? Lately, I've been absolutely hooked on Halo Mandarin Oranges because they are so sweet and delicious. They are about 37-40 calories each and have NO seeds! Sometimes they can be a little pricey, but I had a coupon for a FREE bag, which I used at Walmart. However, Aldi's sells them at bargain prices. What treat can't you get enough of these days? 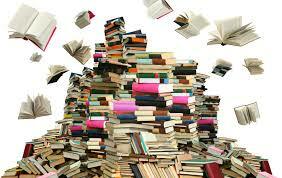 Do you have duplicate copies of books, or doing some Spring decluttering around the house? If so, wwww.booksforsoldiers.com has been around since 2003 and needs books, games, cds and care packages to send to the troops that are overseas. Another suggestion for book donations is http://www.operationpaperback.org which has been around since 1999. These are both non-profit agencies. Barbie has been around since March 1959, and Mattel has sold more than 1 billion dolls. I've collected quite a few over the years. Many have been sold,or given away to my granddaughter, but I still have hundreds of them. 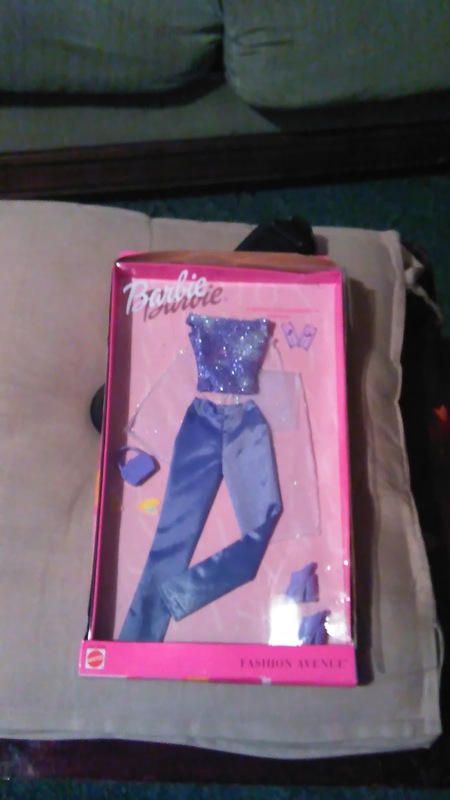 By the way, if you happen to have $9000 lying around, you could score a vintage mint in box Barbie# 4 from eBay that's currently for sale. But if you happen to have these dolls just sitting around the house, you may be surprised that they could still be worth lots of cash. 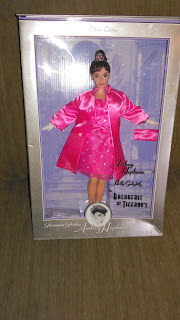 Holiday Barbie, and other collector dolls as recent as 2010 may be considered valuable. And don't forget about those old clothes from back in the day, especially if they're still in the package. Did you know that when you return an item to the store, it may be actually tracked by a company called Retail Equation? Certain stores capture your personal information to see how often returns are being made. 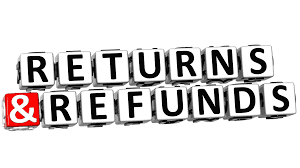 Customers who are returning items frequently, or suspected of suspicious activity, (return abuse/return fraud) could be flagged and barred from making future returns. Retail stores report losses in the millions because of this problem. A few stores that are known to use this company for reports are Sephora, CVS Pharmacy, Home Depot, JC Penney and Victoria's Secret. Many years ago, a friend used to purchase clothing for parties and other events, then return it on Monday. It didn't matter how many times I tried to convince her not to do it, she happily kept tucking price tags under her sleeves for months. YIKES! She outgrew this after about a year, but I can imagine that these days they would have been waiting for her at the door to tell her NO before she even headed to the Customer Service Desk. (lol) These days, she owns a salon in Texas, has 6 grandkids, and says she has very little time to shop these days. I absolutely love the Animal Planet because they provide some really neat programs. 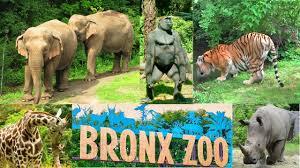 So this weekend, I watched The Zoo, which focuses on a zoo in Bronx New York. Now before you get all excited, the director of this zoo is nothing like Jack Hanna from the Columbus Zoo. (lol) He's very laid back, and you don't even see much of him. But you do see his wife and all the other people who interact with the animals in such a loving manner. I learned that the Maleo Bird is addicted to peanuts and is totally monogamous, hanging out with each other most of the time. 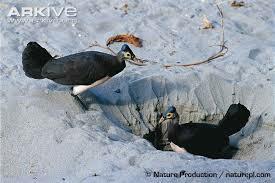 The female lays an egg in the perfect spot, along with her mate and they never returns. Also porcupines aren't as scary as I thought they were. For years it was thought that they attacked people by spraying those quills, but that's not true.They can be rubbed and petted just like dogs or cats. They raise their quills, stomp their feet and back up towards the person who is making them nervous. Because their quills come out rather easily, an animal who attacks them actually gets stuck with them. Those they lose easily grow back. 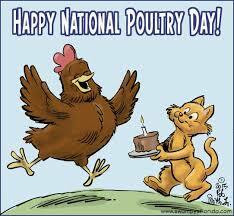 If you like chicken, today is your day! Can not understand how people can purchase, wear, return clothing. Simply can't understand it. I was never into Barbie dolls but my sisters were. Neither of them have any left since they both had daughters that they passed Barbie to and she was played with until donated when they grew-up. 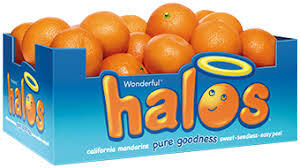 I love Halos and Cuties!!! I eat them everyday!!! FAIR WARNING to those with small toddlers...SOMETIMES THEY DO HAVE SEEDS IN THEM!!! Have a wonderful day RO!!! BTW...that was very interesting about porcupines>!!! We love those little oranges and call them Christmas Oranges. The kids use to get them in their stockings. I buy a bag almost every week as the Royals devour them. As always, a fascinating post, Rockin Ro. It's a great way to start the week. Thanks for sharing the addies on donating books. I'm going to copy those links. It always amazes me how persons can habitually purchase items and then return them. My husband is addicted to those Halo's. OMG! 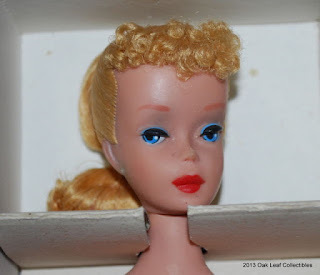 I had the Barbie that you show with the 1950's hair. I went home at age 28 to fetch it thinking I could make some cash to help me not keep working two jobs. My step mom threw it out. THREW IT OUT IN THE ORIGINAL BOX!! When I asked why it wasn't with all my stuff she said, "oh I never thought you'd want a doll again so I just purged some of those things" I about died!! Now she realizes it was worth money and still talks about how she did that. I remember our names and addresses taken when returning something years ago. Now I know why. 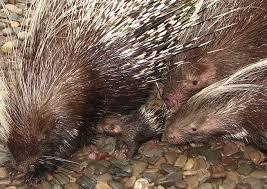 We have a similar animal to the porcupine that is called an echidna. The similarity may end with just the spines. I've never been lucky enough to get a barbie doll. we were too poor so I got those nameless brand dolls which is the same, well, almost. isn't it foolish of us to like old things? people don't appreciate things until they, the things, get old, which is odd, but if I was feeling nostalgic, I would buy those old stuff but I wouldn't spend 9,000 on a barbie doll, that's just crazy. it's a shame I don't have anything worthy laying around. Was 'Trailer Trash Barbie' real or am I imagining it. Sadly I am all too familiar with finding a favourite flavour and binging. And they are not usually calorie low. Wear and return is a form of dishonesty I have never understood. Glad your friend grew out of it. Halo oranges are tasty, it’s nearly impossible to get just one. Wow you got a free bag from Walmart? Thats a serious deal. I’ve never heard of Books for Soldiers, this is a great idea and cause. I don’t have any Barbie’s at this time, wow I can’t believe you have 100s of them. 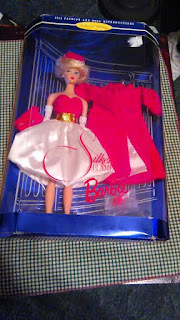 Wow Vintage Barbie are expensive, it’s so cool to see them up close. I had coworkers who used to do the same thing, I don't like giving clothes back so this wouldn't be a great idea for me. I had no idea about the tracking done on returns- but I don't return a lot, so I guess I should be okay. I used to have Barbies- but gave them all away. Amazing how much some of the clothes and dolls can be worth. As always a lovely mix for us, thank you. I’ve never heard of Books for Soldiers, what a great idea. I could definitely get addicted to those oranges. Tangerines are my weakness. Oh yes, we had one of those 'wear it for a special occasion and then return it' types in our family and it used to drive me nuts. Have a great week, Radiant Ro! Oh, I love those little oranges. I'm going to pick some up tomorrow! I just heard about the return tracking thing. I don't make many returns, but I know lots of fashion bloggers that buy things just to take pictures in, and then return them. Wonder if this will affect them. Can't understand people wearing garments and then returning them! 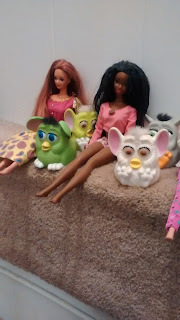 I wish I had kept the 2 or 3 barbies I had growing up, now I could make some money out of them, lol. Even if I were very rich I wouldn't pay $9000 for a doll or anything "useless" for that matter! Happy Vernal Equinox and PLEASE check out Earth Hour sponsored by WWF. Your blog could do wonders for pushing it. Those little oranges are delicious. I can't eat just one. I love Halos, those things are so good. Retail Equation: Isn't it getting just a little unnerving how much information on us is out there? Hope your day was wondrous, Rockin Ro. I love mandarin oranges. My favs are the Imperials we get here. They are delicious. I've never played with Barbie dolls. My sister used to and she had a doll house and everything but I never played with them. Hi RO, they might well taste yummy but everything should be eaten in moderation or you are asking for trouble. You will suffer in later life. I was always addicted to something and paid a heavy price for it. My intake of sugar was too high but I just let it go on. It was a very foolish thing to do. Great info on the Maleo Bird and Porcupine. I love animal facts. Thanks for sharing. Have a pleasant evening, Rockin Ro. What am I reading? Well, right now I'm reading my posts for the A-Z Challenge and my WIP haha, but I'm also reading Brene Brown's latest book, Braving the Wilderness. It's very good. I had an original Barbie when I was young. It was a foot tall (I think), and came with a stand. I went through a stage when I cut my Barbie's hair and used pens to add make-up...she was one of my customer's. My mother was not pleased. I'm guessing Barbie wasn't either when all she had left of her hair was blonde spikes. 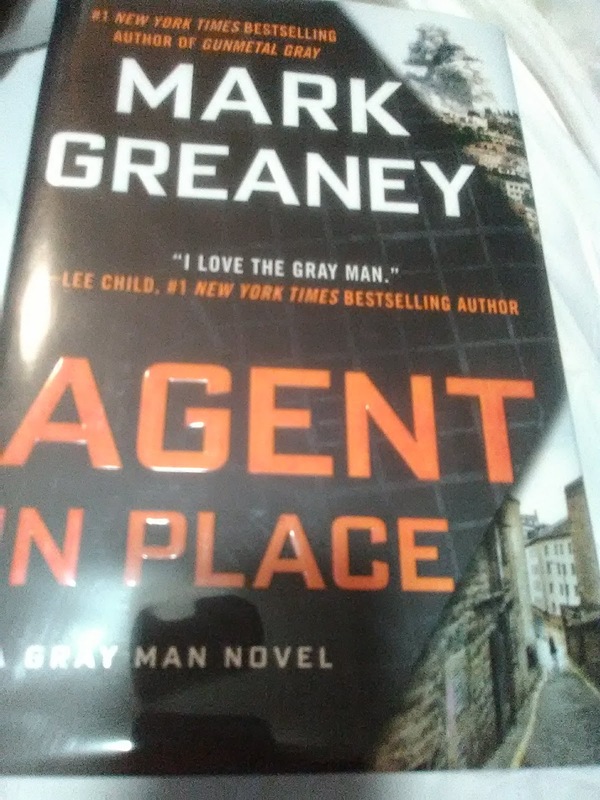 I have not read anything by Mark Greaney. Thanks for the heads up. I always enjoy hearing about good reads. Hope you've had a great day, Rockin Ro. I use to work in retail and new of certain people that bought clothing and returned them all the time, after wearing them. Finally, I talked to the "head" people and got them banned! It was crazy! I don't have any of my barbies anymore. I use to have Cher!! LOL! I love Jack Hanna! He has been around for such a long time! 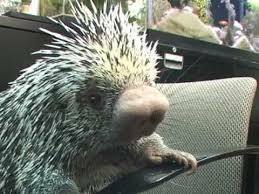 Porcupines are so cute!! Big Hugs! Thanks for all these information. Some interesting facts here! Whew, yeah. They can do a lot of damage to a curious pup with those quills. Yay on the free oranges! I love those Halos! So delicious and I love how easy they are to peel and the no seeds. The show on the Bronx zoo sounds interesting. I'm always a little nervous about shows involving animals because I'm always afraid something bad is going to happen to the animals but I think I could handle this one. 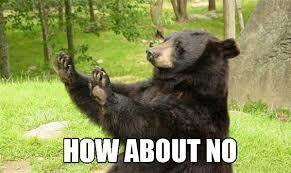 9000 for a Barbie toy? I think I'll pass! I was never really a Barbie kid but I was always amazed by all the clothes options! Either i LOVE oranges and their sweet fleshy taste !!! Just checking in to see whether you are ok. You have been missed. Hugs.